This was my earliest love – it along with Ruellia humilis. Together, these are the first species of Ruellia that I saw alive / in the field, and also the first I ever conducted research on (however elementary it may have been). The love affair started with a one year internship I held in Philadelphia, joint between Morris Arboretum of the University of Pennsylvania and The Academy of Natural Sciences – oldest natural history institution in the Western world. As the “Flora of Pennsylvania Intern”, I was tasked with developing a research project on some aspect of the state flora. There was a slight problem: I was fresh off the tepuis of western Guyana and had caught the tropical botany bug in a rather serious way. Hence my conundrum: I wanted to work on tropical plants, but I had to work on something Pennsylvanian. I also liked pretty flowers, and at the time I was sort of into conservation biology / rare and endangered species. I also wanted to study a group of plants that was wide ranging geographically such that I’d forever have an excuse to travel to distant lands. 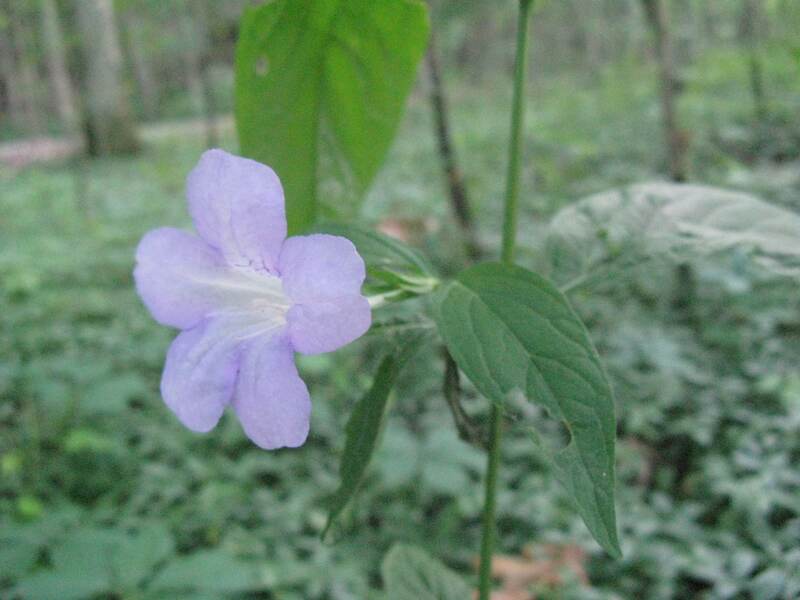 Put it all together, and you wind up with Ruellia: a tropical genus that reaches its northeastern limit in Pennsylvania, where a couple of species happen to be rare, one other is extirpated, and all are a pleasure to gaze at… to the botanist hot on gaudy flowers. Ruellia strepens is easily distinguished from all other eastern North American species by its wide calyx lobes. Through subsequent fieldwork across the eastern US, I later learned that some populations of this species produce resupinate flowers, such as those on the limestone outcrops of north-central Alabama (pictured here)… a place I have called home for many years.